The deadly neurological disorder Chronic Wasting Disease (CWD) is found in deer, elk, and moose. 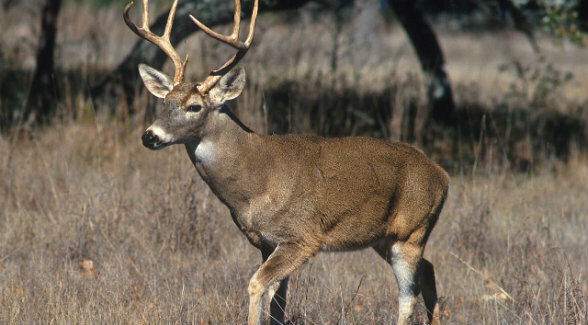 Since its 1967 discovery in Colorado, it has spread to 24 states in the US and to Canada (plus Norway and South Korea), but there have been no reports of CWD spreading to humans. However, Canadian researchers recently found that macaque monkeys contracted CWD after eating infected deer — the first time it spread to a primate through ingestion. With some researchers in Colorado calling CWD the “zombie disease,” concerns among hunters have understandably heightened. The Chronic Wasting Disease Alliance in Fort Collins urges hunters to test animals for CWD, and not to eat the meat if it tests positive — just to be on the safe, non-zombie side.